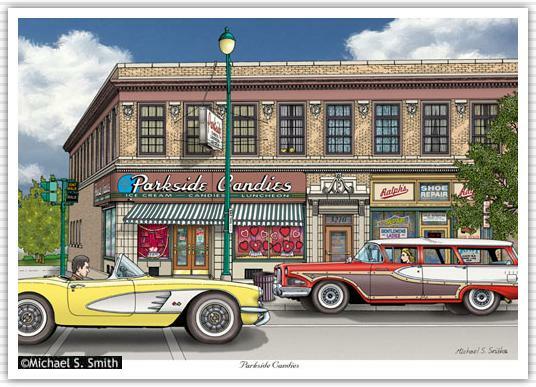 Founded in 1927, Parkside Candy is a unique part of Buffalo, NY history. Originally located on another part of Main Street, the current location at 3208 Main Street is on the National Register of Historic Places. A 1958 Corvette convertible and 1958 Edsel Bermuda Station Wagon pass by.